If you use PubMed, don’t forget to set up a My NCBI account to retain your customized information and preferences. Store and save your PubMed and Entrez database searches, and update them to see new PubMed references or database content whenever you want. 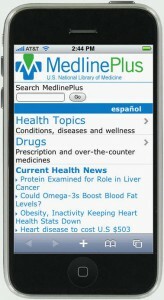 One of the most trusted Web sites for consumer health information, MedlinePlus®, is now available on your mobile device. 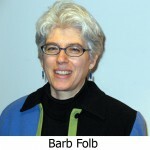 The National Library of Medicine (NLM) developed Mobile MedlinePlus® in order to reach as large an audience as possible and to be usable on a variety of devices. Whether you are here in the United States or traveling abroad, reliable health information is available at your fingertips. Electronic access to HSLS is now available on UPMC’s Infonet in the A-Z Listing or by selecting Quick Links/Applications.